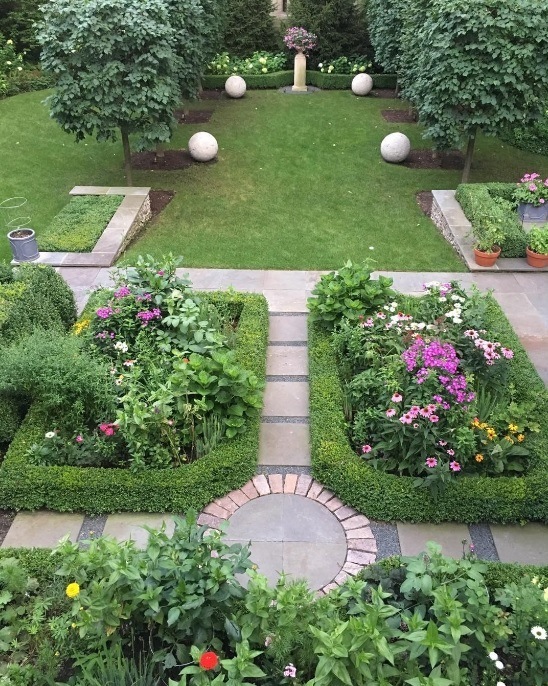 This beautiful garden which created symmetry in a yard that had none is viewed now from our screened in porch and through our kitchen window. The garden blooms all summer long with perennials and annuals giving off beautiful color throughout summer and fall. 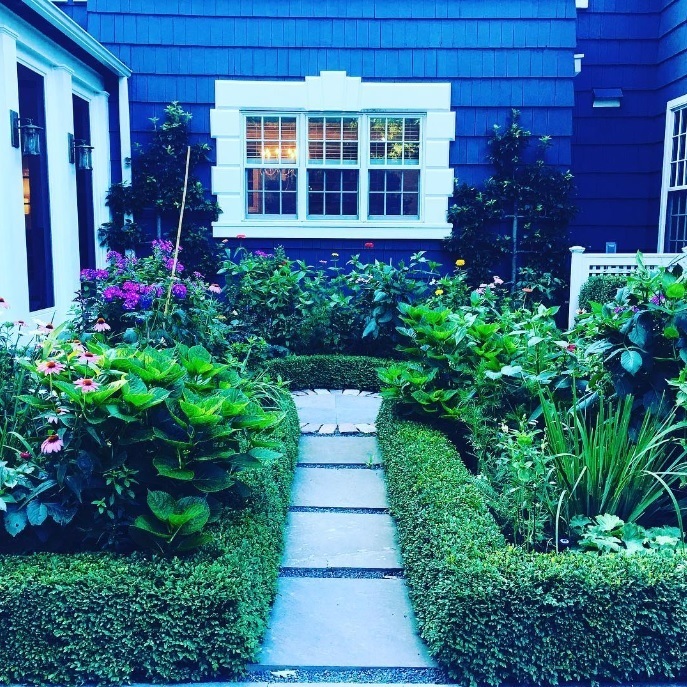 See the submission for Gardenista's Best Landscape Professional.